Many, if not most, of the recent improvements in trauma care in civilian practice have developed from military experience. The British Defence Medical Services have been recognised as providers of exemplary health care. 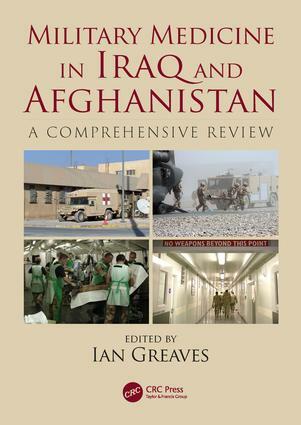 Although there will is an emphasis on trauma, this book also captures lessons from internal medicine and infectious disease, ethics (for example dealing with detainees – a particularly controversial subject), human factors, mental health issues and rehabilitation.Military Medicine provides the evidence and context for these innovations, and its unique and important account will be of interest to both military and civilian practitioners alike.